Email not viewing correctly? View it in your browser . Have you recently left the WA Health System? Interns, you're invited to the 2019 AMA (WA) Intern Sundowner! AMA (WA) are seeking a Practice Support Consultant - Apply now! Are you a FRACGP qualified GP looking for a change of scenery? 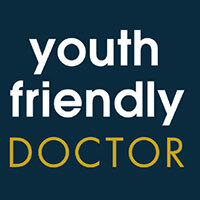 Become a Youth Friendly Doctor in 2019! Feedback on Med e-link (WA) is welcomed. Send your views to medelink@amawa.com.au . 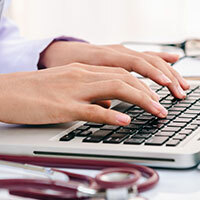 Throughout 2018, Doctors in Training (DiTs) advised the AMA (WA) that they had been told not to claim unrostered overtime. The AMA (WA) has been disappointed to hear that some of the 2019 Intern cohort were advised even prior to starting their rotations not to claim unrostered overtime. This practice not only breaches employers’ negotiated legal obligations under the WA Health System – Medical Practitioners – AMA Industrial Agreement 2016, it also raises questions over how the WA Health System Employers can ensure a safe working environment where OSH standards are met, as doctors are working undocumented hours. While authorisation of unrostered overtime is required, authorisation shall not be unreasonably refused. In the WA Health System, where authorisation is refused, the reasons for refusal shall be provided to the practitioner in writing if requested. The AMA (WA) encourages members who have been advised not to claim unrostered overtime, to contact the AMA (WA) and confidentially identify the hospitals that are failing to ensure DiTs receive payment for unrostered overtime, or actively discouraging claims for overtime worked. 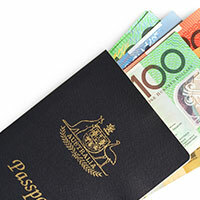 If you have recently finished working with a WA Health System Employer and you are not taking up employment with another WA Health System Health Service Provider* (“WA Health”), then you are legally entitled to receive monies due on the payday following your last day of employment. Anything beyond this is a breach of your former employer’s legal obligations under the Agreement and the AMA (WA) will support you and can commence legal prosecution of your former Employer on your behalf, if the AMA (WA) is unsuccessful in having the issue rectified. To continue reading, please visit the AMA (WA) website. Accessing Annual Leave continues to be a perennial issue, particularly for Doctors in Training. The AMA (WA) would like to remind members that, hospitals and health services cannot restrict practitioners’ ability to request annual leave at any time throughout the year, irrespective of internal hospital processes or timeframes implemented to manage access to leave. If you make a request for accrued annual leave in writing, then WA Health System employers shall confirm in writing when a practitioner’s annual leave entitlement may be taken within two weeks of receipt of the written application for leave. Please contact the AMA (WA) if you have either: had an application for annual leave rejected due to your request falling outside of hospital imposed timeframes, or you have applied for annual leave in writing and not received written notice when your entitlement may be taken. The World Health Organisation has recently listed vaccine hesitancy as one of the top 10 threats to global health in 2019. The reluctance or refusal to vaccinate threatens to reverse progress made in tackling vaccine-preventable diseases. AMA (WA) President, Dr Omar Khorshid, joined Oliver Peterson on 6PR to discuss this. Listen to the radio segment online now. 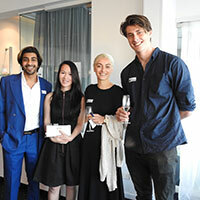 The AMA (WA) invites medical interns to the annual Intern Sundowner – the perfect opportunity to catch up with colleagues while enjoying drinks, canapés and entertainment. Invitations will be sent out in the next few days. If you do not receive your invitation by the end of next week, please contact Skye Connor via email​ or phone 08 9273 3028. Please note, the sundowner is an invite only event for medical interns. Ensuring compliance with privacy law is not just a matter of respecting patient confidentiality. Legal requirements include mandatory data breach notification, compliance with privacy legislation and penalties for breaches of the Australian Privacy Act 1988, which can include not having a proactive compliance program or the appropriate policies and procedures. Learn about the above and more via the new Privacy Compliance for Medical Practices module. Visit doctorportal online to find out more. 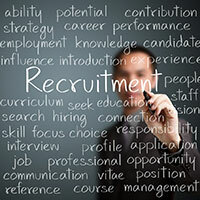 In this newly created role, the Practice Support Consultant will be working predominantly within the AMA Recruit division of AMA Services, coordinating and executing temporary and permanent Practice staff recruitment functions for an existing member and client base. This is a part-time position of between 25 to 30 hours per week, Monday to Friday. Initially, we will be offering a 6-month contract, with the opportunity for extension and permanency. For further information or to apply, please visit the job advertisement on Seek. Alternatively, for more information on this or other upcoming work opportunities, please contact Dave Bell at AMA Recruit on 9273 3096 or dave.bell@amawa.com.au. AMA Recruit is currently seeking a General Practitioner to join an established practice in Yanchep (DWS location). For further information or to apply, please visit the AMA Recruit website. The NHS are seeking Australian GP’s to live and work in England! AMA Recruit, owned and operated by the AMA (WA), are the Australian representative for the NHS recruitment campaign for Australian GPs. If you are seeking the chance to gain international vocational experience, then this is a tremendous opportunity to work overseas and use England as the base to explore the world. This also presents a great option for GP returners; those GPs who trained as MRCGP, and have been away from the UK for more than two years. For further information on the opportunity, please contact Dave Bell at AMA Recruit on 9273 3096 or dave.bell@amawa.com.au. The Immunisation Education Update is suitable for ANY healthcare provider or those involved in immunisation research. 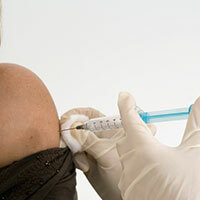 Brush up on all things immunisation- from the basics to beyond. Includes two interstate guest speakers, case-based scenarios and a practical vaccine administration workshop. This update will be presented by expert speakers from interstate and will cover sought after topics such as vaccine hesitancy, No Jab No Play and the latest research. The practical session at the end of the update offers an opportunity to refine hands on skills and is run by highly experienced immunisation nurses. Being held at The University Club of Western Australia, the 2019 Medical Careers Expo is a free event for junior doctors and graduating medical students, brought to you by the Postgraduate Medical Council of WA together with AMA (WA). Register online today and take this opportunity to discuss and discover career options with over 30 health services, specialty colleges and other relevant organisations at the Expo. Have you completed your CPR for the 2017 – 2019 triennium? 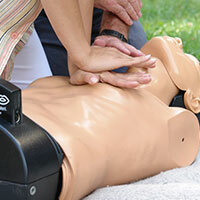 The AMA is delivering 3 hour courses for staff requiring CPR training to meet practice accreditation requirements. The learning outcome of this unit provides the participant with a nationally recognised unit of competency. For more information, visit the AMA (WA) website or register online now. The Youth Friendly Doctor program is designed to provide the medical professional with the skills and knowledge to remain up to date with the most pertinent issues affecting young people and how to best manage these issues. This workshop is designed to provide medical professionals with best practice and practical information on legal and ethical considerations of their young patients, assessment of a young person’s capacity and competence to consent to medical treatment, the right to confidentiality and the limited circumstances in which it may be broken. Participants will learn effective engagement strategies, methods on managing difficulties that may arise in consultation and gain insight into how adolescents use health services. AMA (WA) members are invited to join Paspaley at their Crown Perth boutique for a special Paspaley Pearl Discovery Experience. 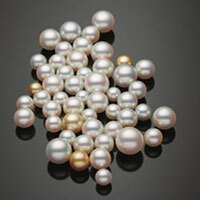 Over a glass of champagne, uncover the qualities that make Paspaley pearls the rarest and most valuable in the world. For further information, contact Holly Beaumont via email or phone 08 6330 8988. Got something to say? We would love to hear from you! The AMA (WA)'s publication Medicus is calling on all members to send through any letters they would like to share with the profession. 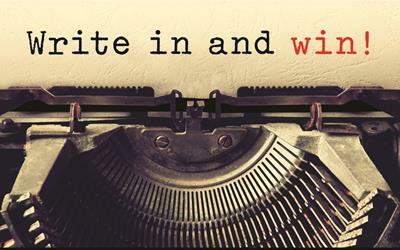 Write to us (200 words max) at medicus@amawa.com.au - the best letter will win anything from movie/theatre tickets to bottles of wine. 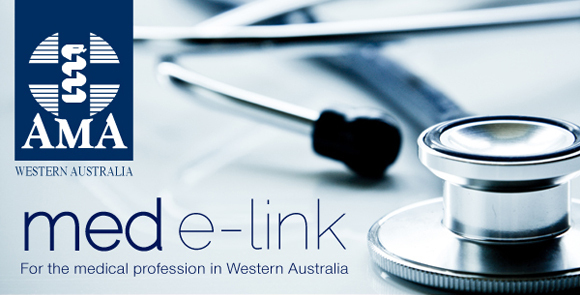 The Med e-link (WA) distribution list has been updated. If you wish to change your email address, please reply to this email. To update your contact details with the AMA (WA), please email us at mail@amawa.com.au.